The demographic feature of twenty-first century has been the rise of the aged population, making them socially visible. However, the concern is that an aging world is also a feminized world. But this transition does not hold a very vivid future as the elderly women are the most vulnerable section of the population. They make up for the majority of the poor due to scarce access to education, property, and employment opportunities. Widowhood often leaves them impoverished and victims of abuse. Until recently, aging women have not been considered a subject requiring serious attention in India. Most of the studies on old age have adopted a gender-neutral approach to the problems of ageing. 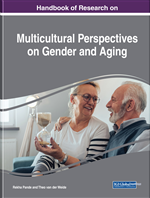 It is a paradox that the feminist movement has marginally addressed this issue even though gender along with social, economic, and political factors has a profound impact on how people age, thus making aging a gendered experience. The question remains why aging has not been taken up as a feminist issue in India. This chapter gives insight into the reasons for their vulnerability. The advancement of technology and liberalization of economy through the process of Globalization has been changing the face of India. The population policies, technological and medical advancement helped in big way in improving the quality of life as well as longevity in life. Indirectly it helped decline in fertility as various birth control methods were used extensively. However, it posed a major challenge due to changing social norms of the family and inability of the social institutions to handle the bulging aged population in the society. As remarked by Ban Ki-Moon, the UN Secretary General, that older people bring significant benefits to the society, but warned that a spiralling population will spark major challenges for the nations in areas like healthcare and pensions (Webb, 2012). With the changing family structure from joint/extended family to nuclear, migration of male population from rural to urban spaces for better job prospects, limited space rented accommodation, aspiration for children’s future, changing values structure, growing individualism, rising aspiration for consumerism along with technological revolution and education the space for the aged in the family is becoming gradually redundant. Given the overarching emphasis, the society and its institutions place on youth, vitality and physical attractiveness, older people tend to become marginalized or ‘invisible’ (Srivastava, 2000). The economic inadequacy due to modern life style is resulting in not just shrinking of resources for the aged in family but has caused them severe abuse and neglect. The aged no longer considered as custodians of traditional knowledge rather they have become redundant for the younger digitized generation. The gradual erosion of the traditional joint family system and the inability of the government to sustain the incremental burden of pension expenses for its own employees makes the situation worse and precarious (Bhattacharya, 2005).